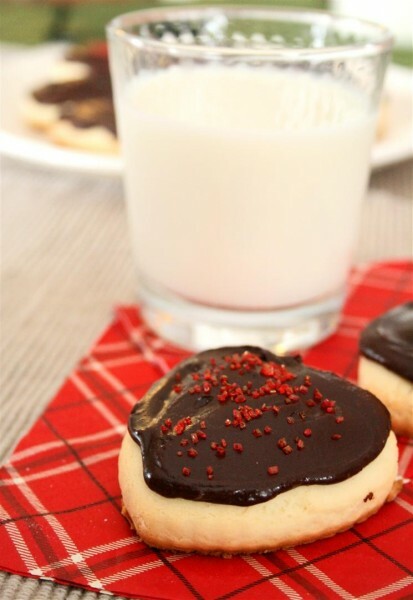 Grandma’s Cream Cookies was posted on February 11th, 2013 and is filed under Desserts, Kid Friendly, Recipes. This entry has 7 comments. You can follow any responses through the RSS 2.0 Comment Feed. This is why I like Valentines Day. The only reason. Haha, just kidding…our family has a special tradition of giving each other “love notes” and chocolate. We’ll often dress up or at least wear red for a exceptionally delicious family dinner…and that makes it extra special. 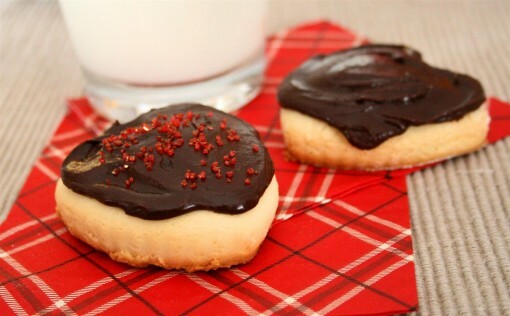 We also have a tradition of making these amazing cookies for Valentine’s day. You should feel very privileged I’m sharing this recipe with you, because it’s my Grandma’s very own recipe…over 70 years old. 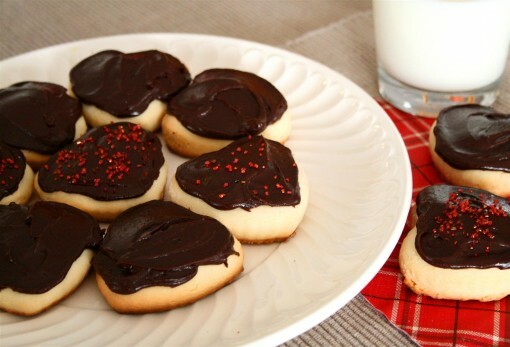 They’re not necessarily the healthiest cookie in the world, but hey, it’s Valentines! However, for those health nuts who avoid the gluten (which is me…most of the time!) I have a delicious gluten-free version coming up! Mix all the ingredients together. 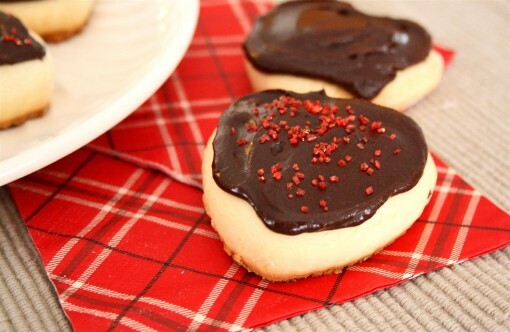 Roll out and cut with a heart shaped cookie cutter. Bake in the oven for about 15 minute at 350 degrees. Let cool. Ice with chocolate frosting and top with sprinkles. Makes about 2 dozen cookies. 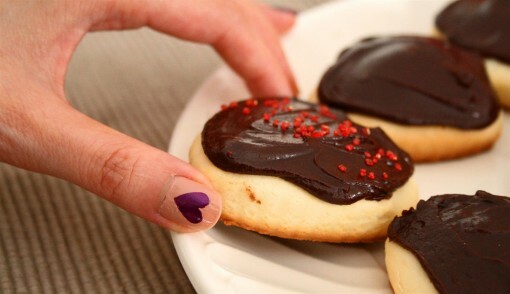 Do you have any family favourite recipes you dig out at Valentines? Got any big plans for the 14th? they look deliscious! i ll try them on thursday :) thx! I clicked to your post via your e-mail update, so I knew the title before I read it or saw the pics. Immediately, it made me think of my late great grandmother who was quite the baker, as well. One cookie that reminds me of her is a Ginger Cream. It’s a soft gingerbread cookie, similar in shape to these, with a creamy frosting on top. These are like the vanilla/chocolate version of them. Oh, I like your nails. The heart is perfect for the occasion. They remind me of a boston cream looking donut cookie! They look so thick and yummy. Thanks for sharing! What a lovely tradition! And the cookies look amazing.